The Chevrolet Malibu is a midsize family sedan that you won't want to wait to test drive. During its life it has served as a great car that has made buyers very happy and has gotten them to their desired destinations without hassle. The car is fun to drive and offers a controlled ride. Recently the car went through a redesign to have more different kinds of Malibus out there. Keep reading to learn more about the fantastic Chevrolet Malibu! The car makes available 2.4- and 2.5-liter engines. In addition, there is a strong 2.0-liter turbocharged engine available that produces up to 295 lb-ft of torque and 259 horsepower. The 2.5-liter will give you up to 186 lb-ft of torque and 196 horsepower. Malibu models can run on regular unleaded gasoline, but it is recommended that you use premium gas on turbocharge engine-equipped Malibus. An automatic transmission with six-speeds and a manual shift mode may be standard, and so is front-wheel drive. You may have a stop-start system that shuts off the engine when it is not needed, and this makes for great fuel economy, which comes out to 36 miles per gallon (mpg) highway, 25 mpg city and 29 mpg combined. The car's suspension will give you nice handling characteristics and an enjoyable, quiet ride. Cruise control can make it so that you can drive straight on highways and similar roads without needing to steer a whole lot. 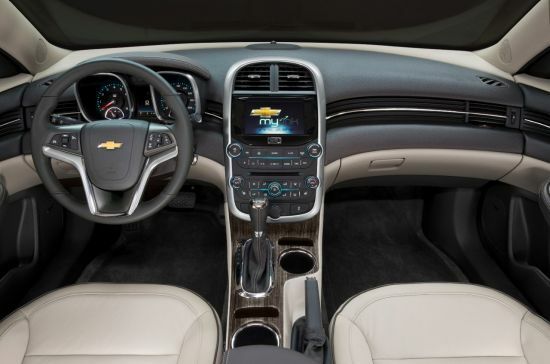 Getting inside the Chevrolet Malibu will lead you to a luxurious interior design with its quality soft-touch materials. The car offers a good amount of rear seat legroom for its passengers. The center console offers a nice overall design and layout so that it is easy to use. Some LTZ models offer leather upholstery, heated front seats and a power passenger seat. The center console offers storage space for small things. The car's available MyLink system is a touchscreen interface that works with a smartphone to allow for various hands-free text-messaging capabilities, internet radio capability, streaming music through Bluetooth and voice control. You can get the car with a high-speed wireless internet connection through 4G LTE with OnStar. The car's front-end styling is eye-catching, and the car is available with a power sunroof. Can I get this car with a USB port? Yes, as it is available on select LT model cars. Can I get stainless-steel exhaust tips for this car? You may on the car's LTZ model. Features standard on many Chevrolet Malibus include side curtain airbags, rear side airbags, front side airbags, front knee airbags, traction and stability control and antilock brakes. The Chevrolet Malibu has done very well in crash tests, and is capable of coming to a complete stop from 60 miles per hour (mph) within 119 feet, great for this type of car. The car has earned five out of five stars for total side impact protection, total frontal impact protection and overall crash protection in government crash testing. The Malibu offers a six-month trial of GM's OnStar communications and safety system. An available Advanced Safety Package includes rear cross-traffic alert, lane-departure warning, forward-collision alert and blind-spot monitoring. We would like you to come check out the fabulous Chevrolet Malibu today and see how it could be your next vehicle! We look forward to assisting with your vehicle search!